The Saratov State Agrarian University is one of the largest and fundamental educational and scientific establishments preparing the experts for Agro-Industrial Complex of Russian Federation. The University is included in the number of 100 best institutes of higher education in Russia and was rated the 5th among the agricultural institutions. The University is the complex teaching and research unity, social and cultural centre. Institute of Agriculture. Specialties: Agronomy; Vegetable and Fruit Growing and Viticulture; Selection and Genetics of Farm Crops; Land Management, Plant Protection; Agroecology. Institute of Agribusiness. Specialties: Accounting and Audit; Economics and Management of Farm Production; Management; Commerce. Institute of melioration and Forestry. 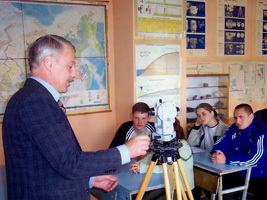 Specialties: Economics of Natural resources; Machines and Equipment for nature Conservation and Environmental Protection; Land Reclamation, Recultivation and Soil Conservation; Usage and Conservation of Water Resources; Nature Conservation and Territory Layout, Forestry, Forest and Parks; Garden and Landscape Design. Institute of Mechanization and Electrification of Agriculture. Specialties: Mechanization of Agriculture, Service and Operation of Transport and Technological Machines and Equipment in Agriculture; Gas and Heating Installation and Ventilation. Institute of Farm Production Processing. Specialties: Merchandise Study and Commercial Expertise of Merchandise Quality; Technology of Crop Storage and Processing; Technology of Meet Processing; Technology of Milk Processing; Technology of Public Catering, Mechanization of Farm Production Processing. Institute of Veterinary Medicine and Biotechnology. Specialties: Veterinary, Biotechnology, Zootechny. The University offers a broad spectrum of academic programs leading to bachelor’s, master’s, doctoral and professional degrees according to all above mentioned specialties. Preparatory Faculty is intended to train foreign students not knowing Russian language for entering the Faculties of the University. The Preparatory Faculty offers programs in Russian language, Biology, Chemistry, Physics and Mathematics. · Extramural Institute - 6 years. At the present time more then 20 thousand students of various forms of training are studied in the University. nonresident students have the opportunity to lodge in 10 hospices. The catering centre, a multipurpose sports complex, creative student's clubs work at the base of the University. In the summer students have an opportunity to have a rest in sports and sanitary camps. As the important tool of formation of competitive experts the special attention is given practical preparation of students. 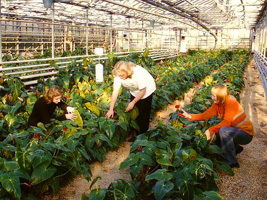 for this purpose the powerful system of practical training for students in 14 training large-scale farms - the best agricultural enterprises in Saratov Oblast, on departments` branches and model fields, in training grounds and the industrial practice centers is created. 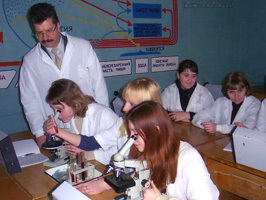 The students of the University take an active part in the students' scientific research work. The students' scientific societies are organized at each Institute and unite 1,000 students. The Agricultural University develops the international cooperation, leads the active work on international scientific and educational projects and grants. These projects is supported by the funds “Eurasia”, “INTAS”, “Tempus”, “6-framework program” and others. In December, 2002 the University had got the highest award of French Association of industry assistance – the gold medal for stability and the development dynamics. In addition Saratov is a large city. Saratov was founded on the right bank of the river Volga. There are train, plane and ship connections to most of Russian cities. It is one of the biggest scientific and cultural centers of Russia, having 400 years history. Welcome to the Saratov State agrarian University! how much amount to finishing the preparatory faculty? do they offer agriculture economics?